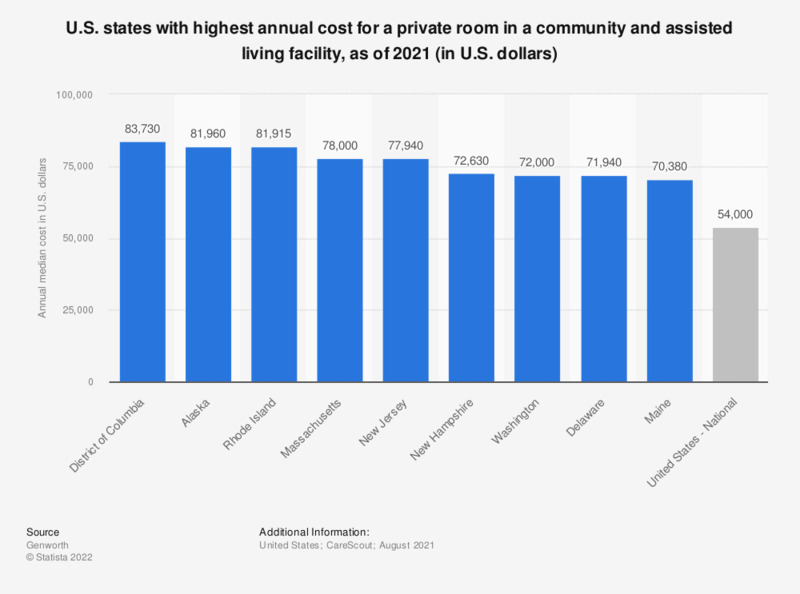 This statistic displays the ten U.S. states with very high costs for a single bedroom in an assisted living facility based on median annual costs in the United States as of 2018. Annual median single bedroom in an assisted living facility costs are 75,600 U.S. dollars in Alaska. Assisted living facilities provide help for those who required assistance with daily living. * As part of facility care. Cost for one bedroom - single occupancy.